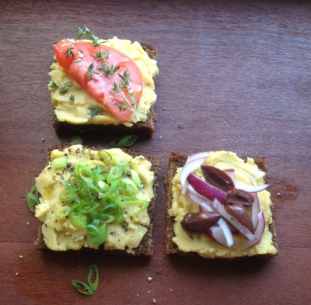 Think of fava as hummus on steroids, both in taste and nutrition. Fava can be served smooth or chunky depending on your taste. It has a bit of a peppery bite from the scallions with bay leaves and thyme to round out the flavors perfectly. Fava is a filling snack, side dish or meal. Serve it at room temperature or warm from the stove, you’ll find this dish to be extremely versatile. I often serve it spooned into filo pastry cups topped with chopped red onions or scallions as a party appetizer or spread it on crusty bread for an afternoon snack. Truth be told, I’ve many times scooped it out of a bowl with grilled pita chips for a quick dinner too. The ingredients and preparation are very simple. The cooking time is about an hour and you can easily scale this recipe to fit your serving needs. 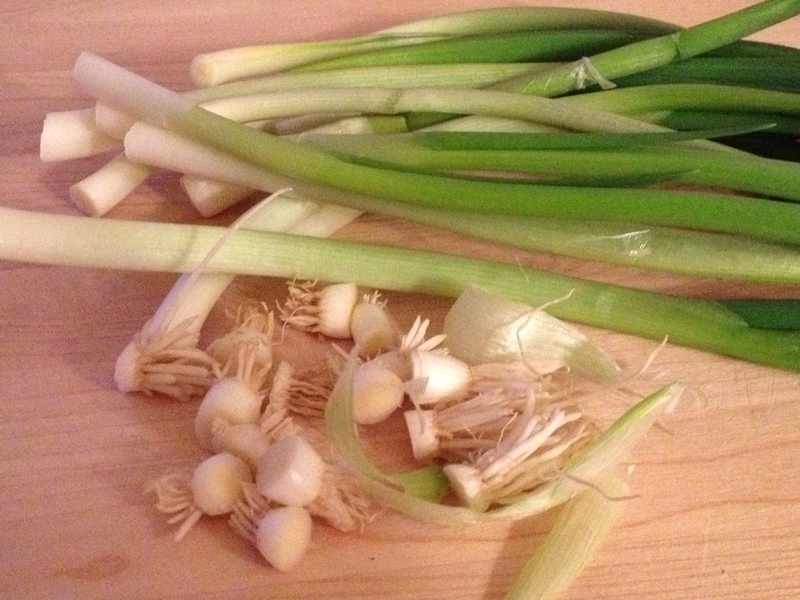 Make sure to use scallions/spring onions and not yellow or red onions. The scallions are lighter and sweeter and melt right into the yellow peas perfectly. Note to mention, if you use vegetable broth instead of water, season your dish after it has cooked down. I’d recommend using a low sodium option and taste carefully before seasoning. I tend to go with the vegetable broth as it adds even more layers of flavor but I sometimes find the dish salty enough without adding the full amount recommended in the recipe so take the time to taste before adding. If you use water instead of vegetable broth, then be sure to use the full amount of salt. In a 3 qt saucepan, combine all ingredients except salt/pepper. Bring to a simmer, then cover and cook on low/medium heat for 50-60 minutes until the water is absorbed and the peas have almost disintegrated. 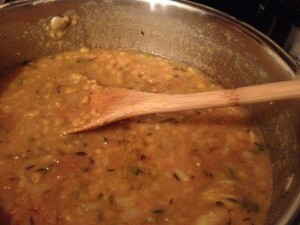 If necessary, add 1/2 cup warm water and continue cooking another 5-10 minutes until peas are extremely soft. Remove the bay leaves, stir gently once or twice and taste before adding salt/pepper. Using the flat back of a wooden spoon, gently pull the mixture up against the sides of the pan until you reach your desired consistency. I like fava that is smooth so it sometimes takes maybe 5-10 minutes of mashing. Feel free to try a chunkier version as well. You can use a stick or immersion blender here but there’s really no need. The traditional method of wooden spoon mashing brings the flavors together slowly and gently. Having tried it once as an experiment, I think using the immersion blender alters the end product not for the better. If you’ve used water and not vegetable broth, your dish will have an orangy color. 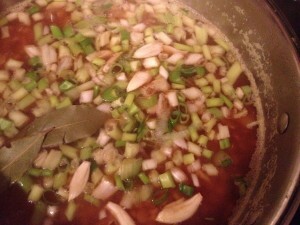 If you’ve used vegetable broth, the color will change slightly to a darker orange. Fava can be served right from the stove or at room temperature. And it keeps nicely, covered, in the refrigerator for up to a week if you’re planning ahead. 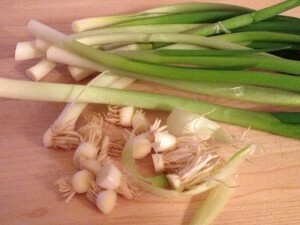 Garnish with olive oil, lemon, fresh thyme, chopped scallions and red onions. Just made this last night — it was really delicious and even better the next day! I added a few chopped hot peppers for my husband’s palate. I used 5 cups of water and had to cook longer to let the water boil off, so next time I will try with less water or more split peas! Thanks for sharing a wonderful, simple-to-make recipe that we will enjoy again and again! We always made fava with nothing but water, and served it the first day with a ton of raw olive oil and raw onions. After that my grandfather said the fava had to be “married” by frying up some grated onions to mix in. I’ll try your version next time. It sounds good! Hello! Thanks what sounds like a very yummy recipe! I’ll try it today. A request. Please, could also use metric measurements as well? It’s going to make life so much easier in the kitchen! Thanks for reading. 8 ounces = 250 grams. I am just trying it with onions instead of scallions and some cumin seeds (based on a recommendation from a greek friend!). Firstly I tried this for the first time in Melbourne last week, and fell in love with it!! The way you have served it is the way the restaurant did, though, they used diced red onion on top for Decor. Now I’m going to me this myself, and I’m excited, for such simple ingredients, it’s amazing it tastes so darn good. I love it, and there are WONDEFUL flavours that makes my ordinary hummus a bit insipid now. I prefer my sandwich or wrap slathered in dip rather than marg, it’s a great start to a salad in a wrap or as a base layer in vegetable pies I cook. 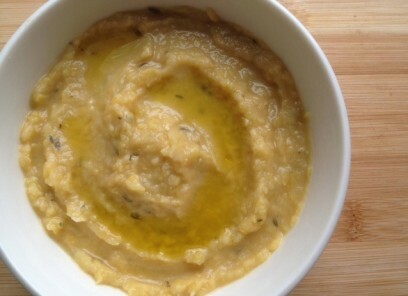 i am positive no native greek person wohld ever suvgest putting cumin in fava. seriously. bad. idea.